Restaurants Liverpool – Copacabana Queen Square. Copacabana is a Brazilian Steakhouse, Bar and Grill featuring continuous table side service of different prime cuts of meat, including beef, chicken, pork and lamb. A range of mouth-watering cuts of meat cooked on an open fire, which are then carved at the table (Full Rodizio). You decide the pace of your meal with discs which are provided for each diner. One side is Green which signals to our meat cutters that you would like more; and the other side is Red, which you can turn to when you have finished or simply wish to take a break. We won’t stop serving you meats until you tell us to! Unlimited hot/cold buffet on offer also as well as an extensive wine, cocktail and drinks menu – fine wines and delicious cocktails to suit any taste. 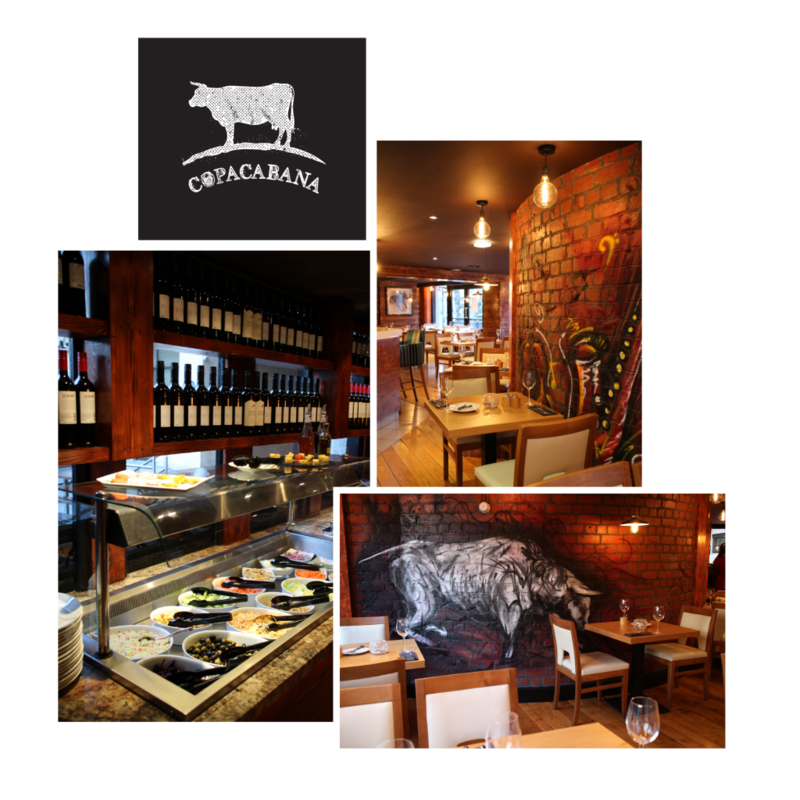 Copacabana is a Brazilian Restaurant and Steakhouse in Liverpool city centre – Serving succulent meats, all you can eat ‘rodizio’ style with an accompanying cold buffet and extensive wine list – Come and visit us soon!